Christmas came really, really early at my house this year. I’m never that organized. Unless I have to be. And this year I had to be. Canadian Tire shot a series of videos at my place to launch the new CANVAS line. So I got super festive even decorated a tree for my kid (who is way too young to appreciate it). 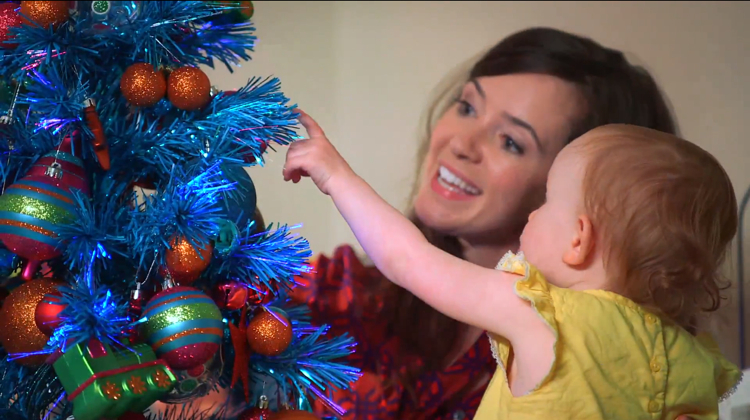 It’s essentially a giant tower of tinsel covered in colourful ornaments and chalkboard baubles. Santa would totally approve. Take a look! You Asked | How To Make Your Blog Look Better? Giveaway | The Ultimate Vancouver Home and Design Show Bundle! 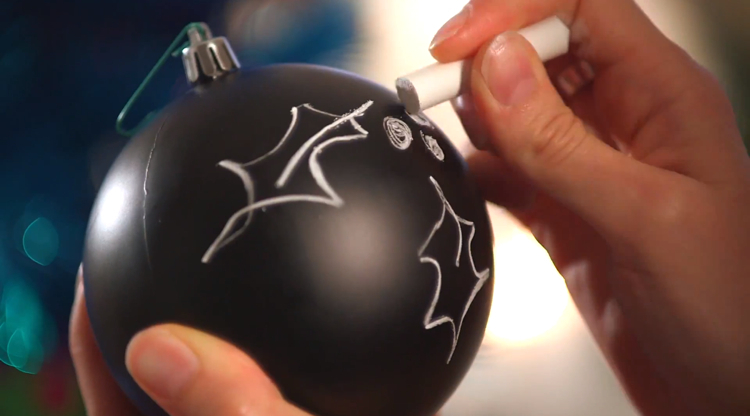 The chalkboard baubles are an adorable idea! Re:Uniona0hadn’t even closed yet when I stertad rehearsals for my next project another new play, but this time a comedic holiday romance. a0It’s just what I needed, but that’s a whole other blog post. a0I encourage you to come out and see the show. a0We only have 10 performances, including the preview one week from tonight! It’s short (about 70 minutes), sweet, and I promise that it will make you laugh. a0I mean, with a cast of Andrew McNee and Deb Williams there’s no way it wouldn’t make you laugh!